Other Products by Millenium Pharmaceuticals. Search other Immune Boosters products. 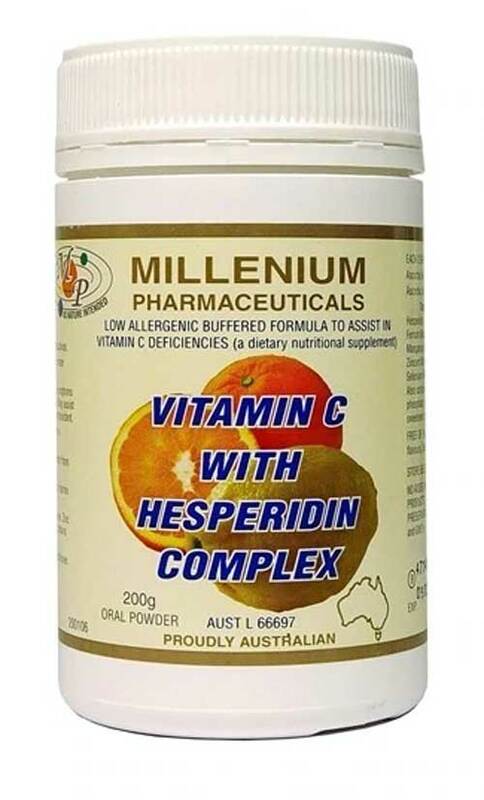 Millenium Pharmaceuticals Vitamin C with Hesperidin Complex provides a low allergenic buffered formula along with homoeopathic ingredients to assist in vitamin C deficiencies. Millenium Pharmaceuticals Vitamin C with Hesperidin Complex supports immune system health and may reduce the severity and duration of colds and flu. It may also assist in the relief of the symptoms of hayfever, and assists in the maintenance of peripheral circulation. Vitamin C also acts as an antioxidant to help protect against oxidative damage caused by free radicals. 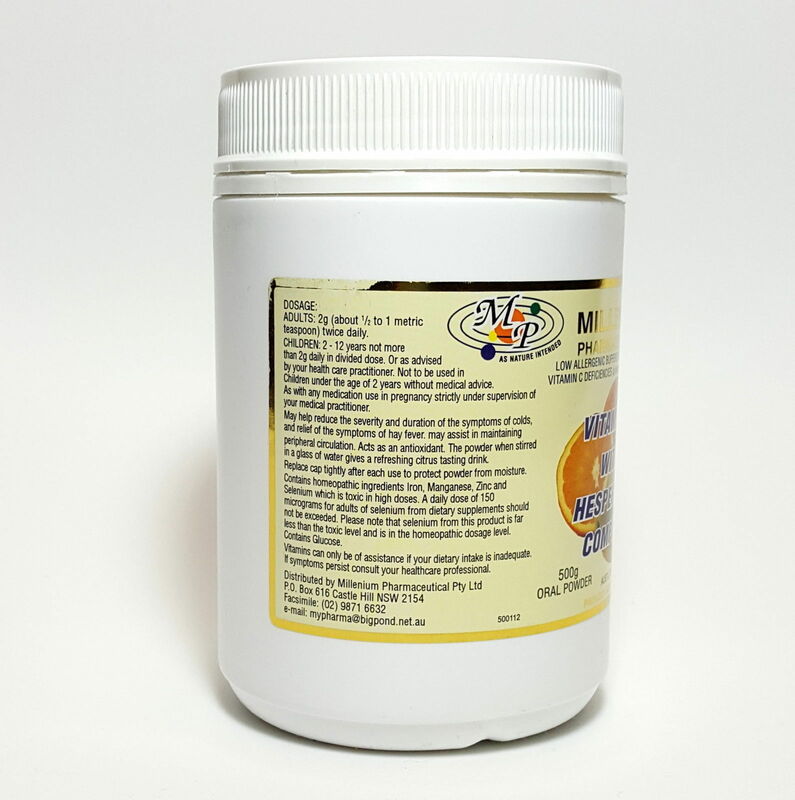 Millenium Pharmaceuticals Vitamin C with Hesperidin Complex is gentle on the stomach and when mixed with water provides a refreshing citrus tasting drink. Adults - 2g (1/2-1 metric teaspoon) twice daily. Children 2-12 years - not more than 2g daily in divided doses, or as advised by your healthcare practitioner. 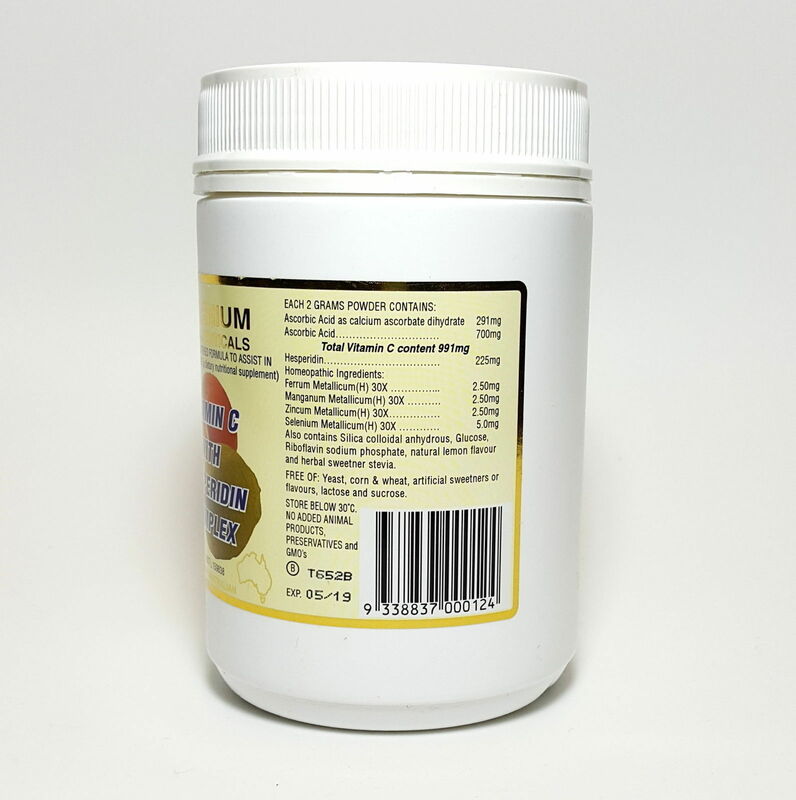 ALSO CONTAINS: silica colloidal anhydrous, Glucose, Riboflavin sodium phosphate, natural lemon flavour and herbal sweetener stevia. 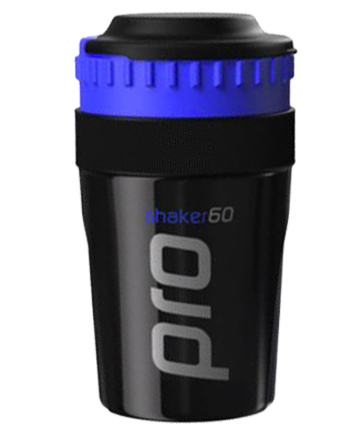 FREE FROM: yeast, corn and wheat, artificial sweeteners or flavours, lactose and sucrose.